I received my order today exactly when you said it would be here. Everything was great just what I needed. Great customer service I will be doing business with you again for sure. I was very pleased with the condition of the wheel and the excellent service. Having to stay within my budget keeps me from ordering more parts right now, but you can count on future orders from me as we work on her truck. You are the BEST !!! I confirm, Yes, the ignitor arrived yesterday, so I can go on vacation tomorrow with my big toy and I want to thanks you very much for that. Have a merry Christmas and a happy new year !! 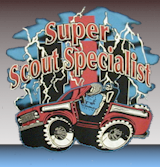 I’m new to SS II and after making one or more mistakes found Super Scout. That was the best thing I had done. The sales are GREAT and the support even better. My scout is a work in progress. With the help of people like JP and Rob I am able to take myself to the next level which puts me just above rock. However thanks for everything. You have made it a very good experience. "Hey guys, Can't believe how fast you guys got that patch to my place. It looks great Thanks again for your help. Top notch as always!" "Many thanks for sending me what I needed. I appreciate your expertise and knowledge in realizing what I thought I needed was not actually the part I did need. Thank you, it installed perfectly!" "PS Hello to John Glancy if he is still the owner." Only two complaints; no hinge for the hood, and the top isn't removable. Easy to put together, and, nicely detailed. I had to buy two; one with top, and one without. G'day,The Pipes perfect, you can not got better then genuine IH. Fit perfectly with no effort at all. Very interesting magazine with lots of pictures of stock Scouts. Terra inside bar-high quality, great fit!!! This is a great addition, installed in place of the original round horn button in my cab w/Deluxe interior trim. Easy installation, looks good too! I bought a cap for the Auxiliary fuel tank, to replace the non-original, ill fitting cap the PO had installed. I could not locate a correct fuel cap in any auto parts store. Installed one of these when I replaced my broken parking brake cables, it is a perfect fit & function part. There was nothing left of the original to compare it to. These are great fit really nice on the early metal ringed side marker's. If you keep your blinds on and pull off the made in china sticker. Found out I had originally had a two wheel drive scout ii someone made it 4x4 used all scout parts and are correct dana 30 drum and dana 20 t case and right cross member so on and so forth lineset tickets are the best.Just remember it takes 4 weeks for super scout just to get lineset ticket from navistar and then they send it to you...so 5 weeks from the time you order is the latest. Replaced the original rubber mounts on my '80 Scout II with these. Replaced hardware with Grade 8. Gained almost an inch of lift with the new mounts. Fit Great and easy to install. No more filling up the tailgate with dirt. This part really fit great and was alot easier to replace than I thought it would be. The dash bulb holders are an excellent replacement for my broken originals. ---The Scout II glove box door has two holes for the guide rod. I painted & drilled a 1/2" hole in the top of the liner, filed notches to accept a gauge bulb holder w/194 mini bulb, installed a door jamb switch in the unused guide rode hole & tapped into the gauge illumination block for power, speaker mounting stud for ground. Can't do that with the OEM cardboard liner. NOTE: Tapping into the courtesy lights would give light at all times... but* turn on courtesy lights when you open the glove box door. I got this t-handle from your site, it took 5 days to get to me. I installed it and it works great, thankyou! I give the hood knob a 4/5. Easy to install matches the old one pretty close. Looks good easy to install..
very good fit on my '79 scout 2. easy to install with cordless drill. you will want to take the wheels off for sure. We had replaced or repaired everything in the steering system on our 78 Terra and still had too much play, until we installed the Straight Steer, now it handles great even in high wind! Well worth the price. Thanks! OEM mounts do not compare to these. Installed all poly mounts and bushings on my Scout and these get the best rating from me. A must! A wonderful compliment to the RPT engine mounts. I installed on a T-19 and even when encountering average obsticals on the trail, everything is tight (the shifter doesn't move). No vibrations on the highway either. A must have if poly engine mounts are a consideration. Very tough hubs. Haven't spun or blown one yet and after 5 years they still operate as easily as the day I installed them. Rating as a 4 because IMHO, there is nothing better than the Lock-O's. Excellent upgrade for the price to replace the plastic 4x2 hubs. Can't say enough good things about polyurethane. These beat the OEM rubber bushings hands down. Installed easily using original pressure washers and new hardware, in just a few hours. I recommend for those who have never used polyurethane, and for those who have, I vote yes if you're contemplating the purchase. If Scouts handled this well when new, great, but there is a huge difference in handling on mine since the install, and it is so much different that every Scout I own will have the reinforcement added. A big relief in stress on an old frame. Excellent value, it will make my Scout look nice.